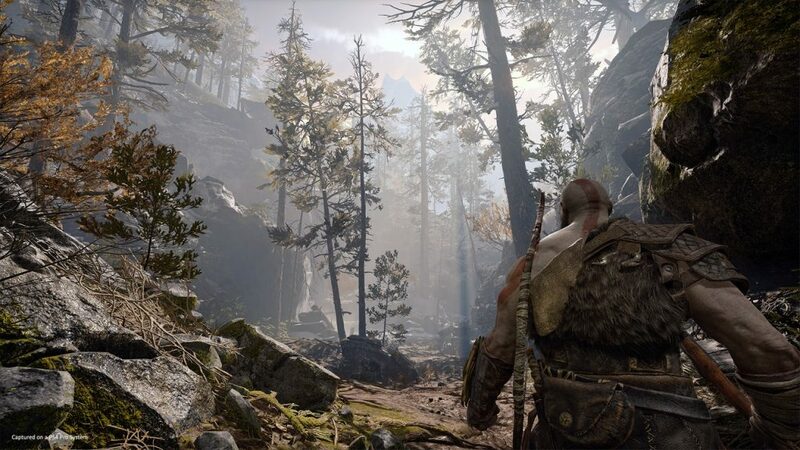 Singapore Branch invited UnGeek to Singapore to experience the upcoming God of War game as well as to meet Aaron Kaufman, Senior Social Media Manager and Marketing Producer of Santa Monica Studio, for some insights into this new title. 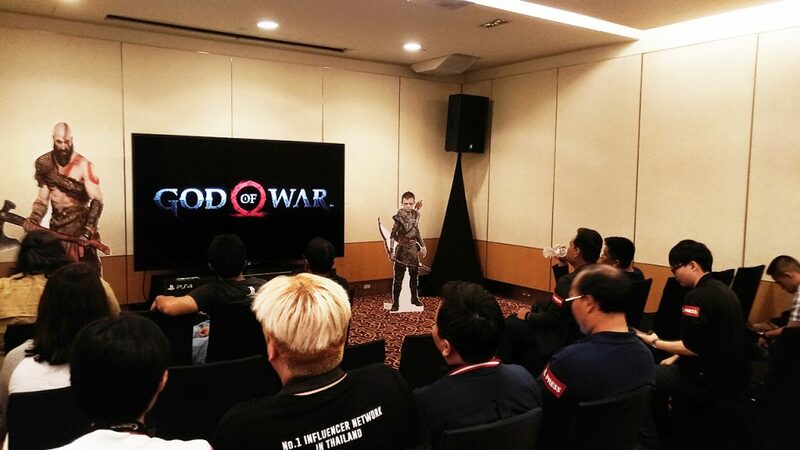 We then got to try God of War for about 3 hours. And I must say I was blown away! 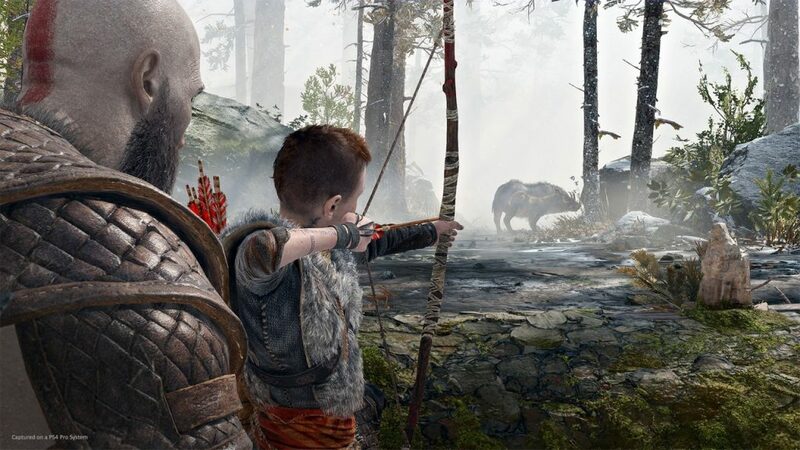 First of all, there is the question of whether or not this game is a remake of ‘God of War’. This was indeed theorized by some as this wasn’t a numbered title AND the mythology has changed. Now that we’ve played it, we can say that “In some ways, it’s not. In most ways, it is”. 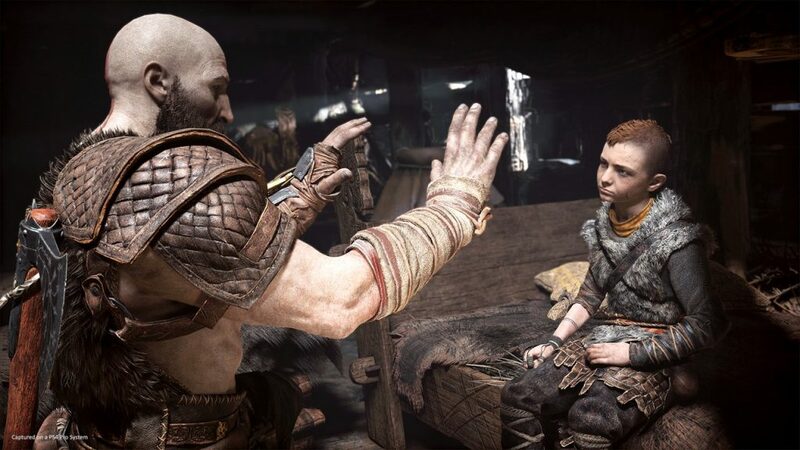 This is still the same Kratos and the same continuity from the past games. 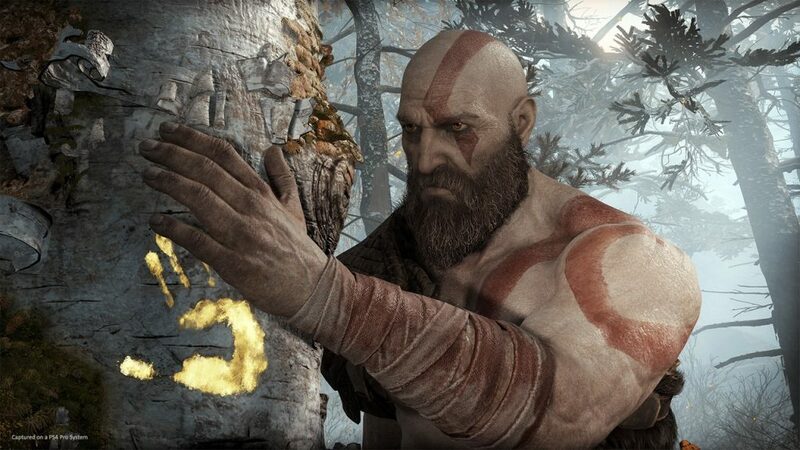 He is still the God of War but there’s an undetermined amount of time between the last game and this. 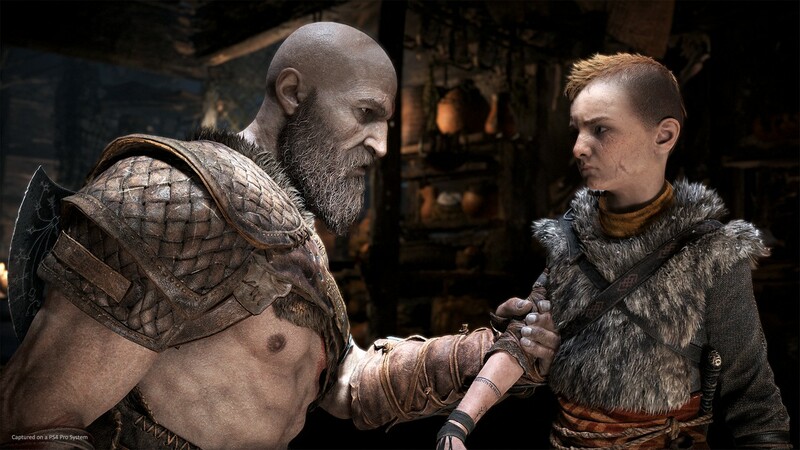 Kratos has aged and now has a son named “Atreus”. We never get to meet the mother, however, as she seems to have died. 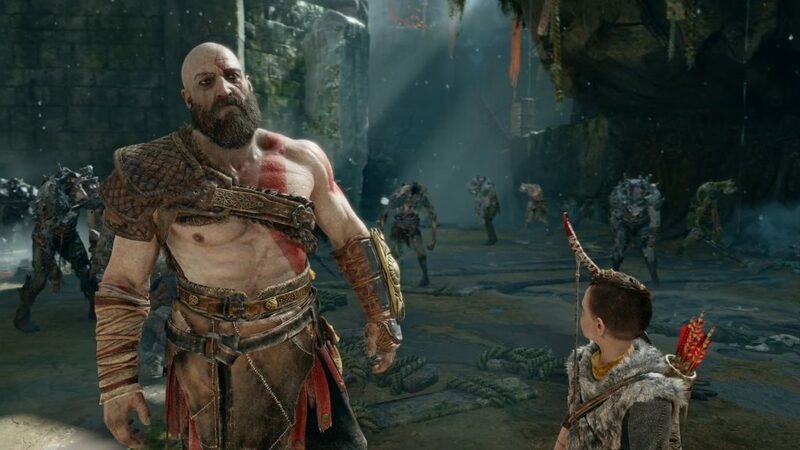 The game now revolves completely around Kratos and his son as they journey to deliver her ashes to the top of a mountain. This is where the story of the game begins. So yeah, same Kratos. Lore didn’t change as it just expanded. That’s how this game stays the same. Now, let’s talk about how this game has become SOO DIFFERENT! I’ll begin with an oversimplification. 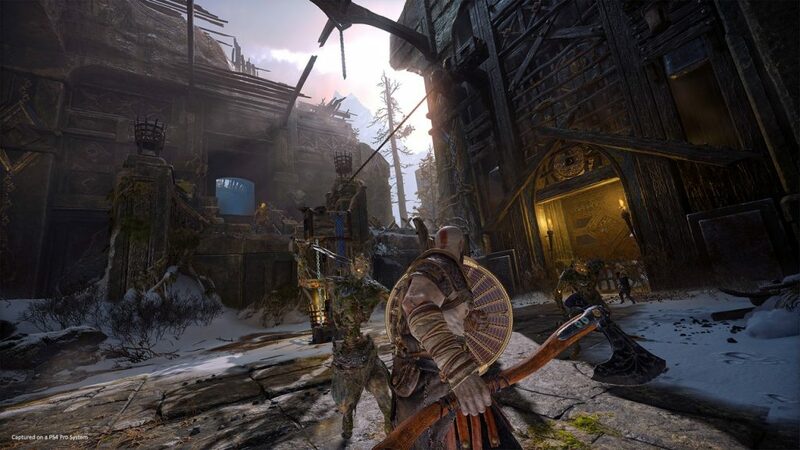 If you’ll ask me, this new game is sort of like if God of War, Tomb Raider, and Dark Souls fused together. Why? Because, in my opinion, it’s the lore of God of War mixed with the psuedo-open world aspects of Tomb Raider as well as some of the combat mechanics of Dark Souls. Once again, this is an oversimplification. So allow me to explain further. 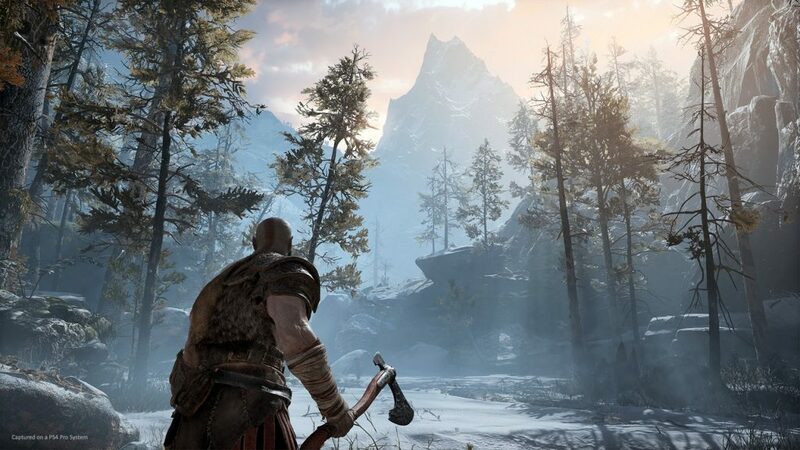 For the God of War parts, it’s still Kratos. Same badassery, same lore (like we said above), same god-powered violence. Then you have the new parts. First, camera is now unhinged and follows a behind-the-back view (this actually opens up so many new things which I’ll get into more later). 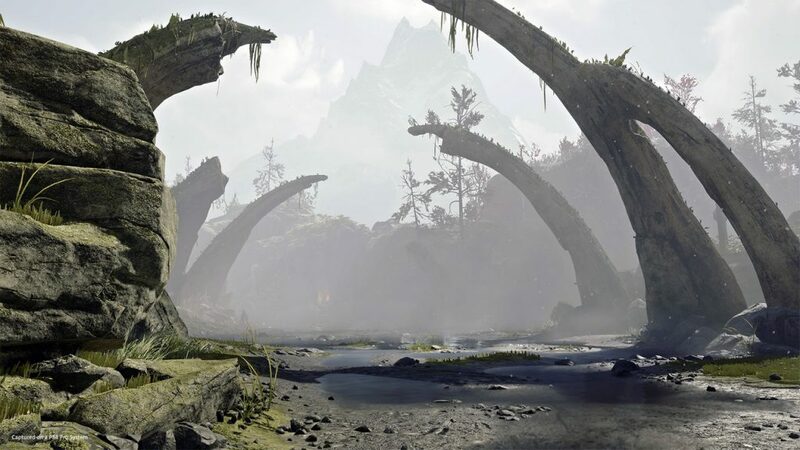 You also now have a psuedo-open world. I say psuedo because it’s more like how Tomb Raider is open world but the paths are still a bit linear. 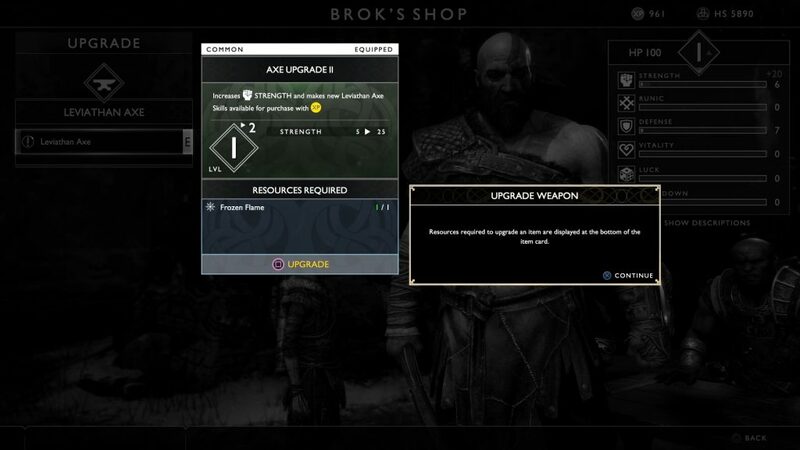 Kratos also now has skill trees for you to spend points on to make for a nice leveling system. You can also upgrade your weapons. 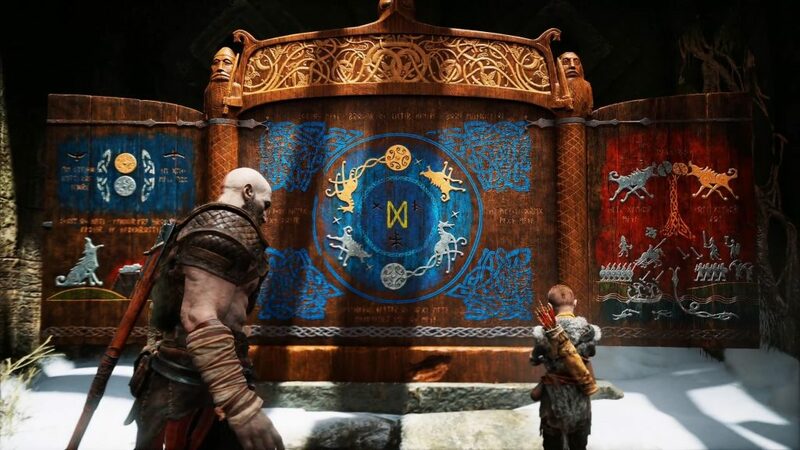 You can even change Kratos’ armor! If ever I had a gripe with the game, it’s that there’s this weird issue I have with the whole suspension of disbelief thing. 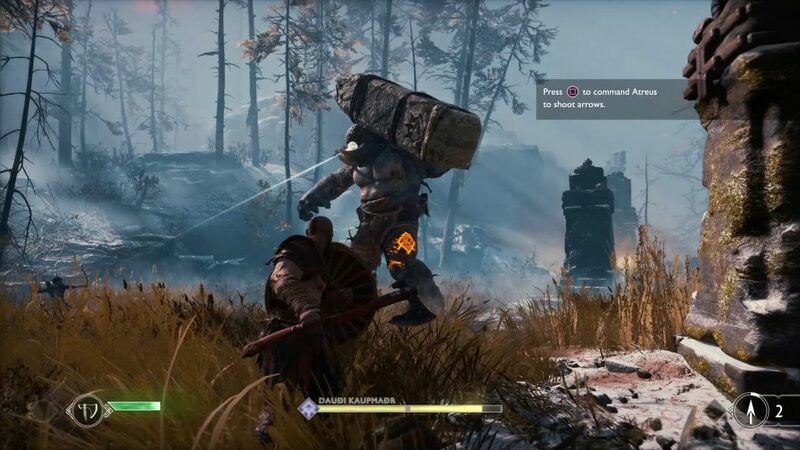 I feel it when I see Kratos just like ravaging everything inside in a cutscene and, suddenly in game, I don’t feel that power during normal combat. Like I said, the POWER is still there… just not as constant as it felt it was in the older titles. But, that’s just me nitpicking. From what I experienced, the game is gorgeous and I’m excited to play more! 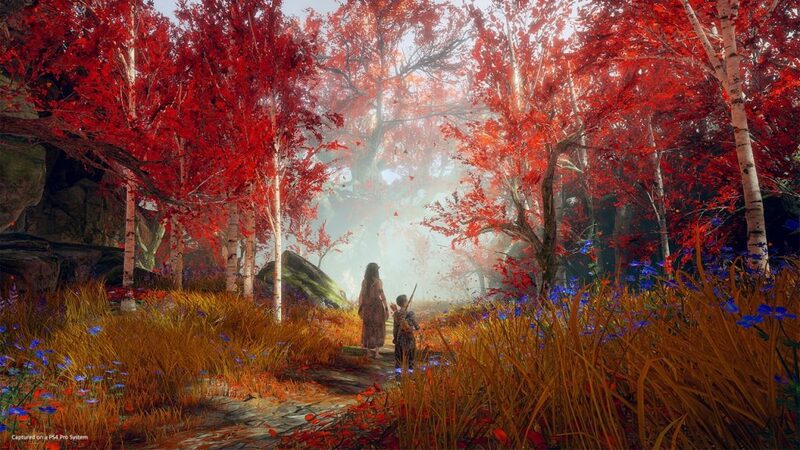 There’s a whole new dimension to this God of War game that makes me want to find out more. The visuals are beautiful and the puzzles are a bit more challenging. I definitely can’t wait for it to officially come out! 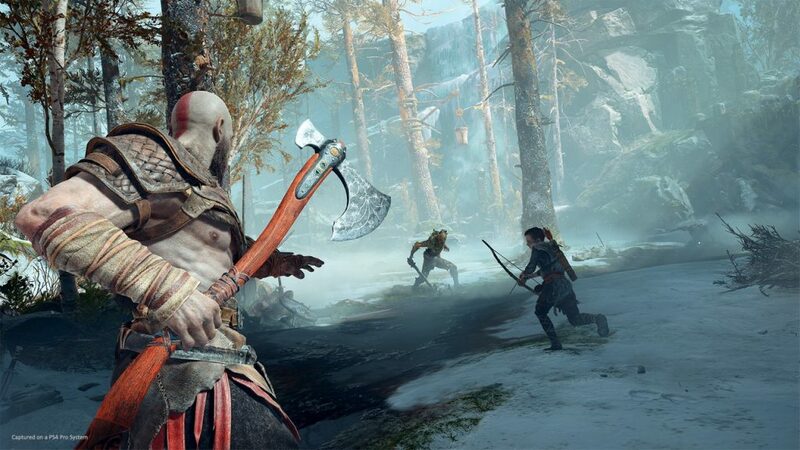 God of War comes out on April 20, 2018! Stay tuned here at UnGeek for our full review! Previous articleWinner, winner, mobile dinner! The official PUBG Mobile game is coming to YOUR device! Next articleSingapore are you ready? Eyes up as Iron Man, Dr. Strange, Nebula, and Director Joe Russo assemble at the Marina Bay Sands!